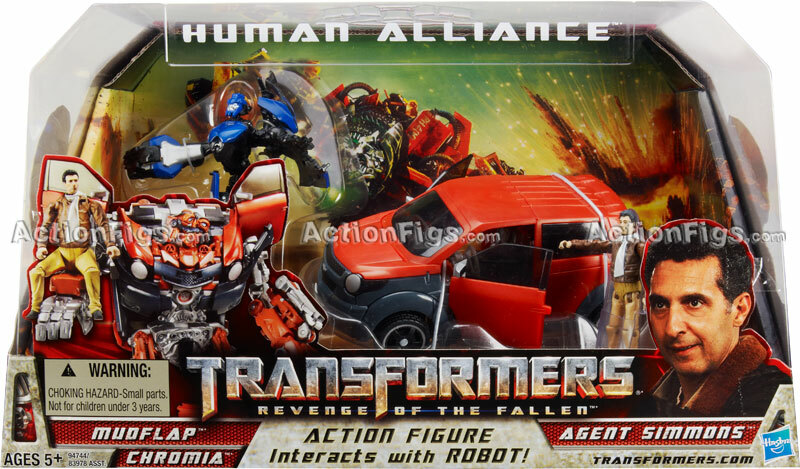 Actionfigs gives us a new look at the upcoming Human Alliance Mudflap with Seymour Simmons & Chromia figure. Just like his brother, Mudflap is also bundled with a motorcycle bot, this time blue, a different mold and labeled as Chromia. Click above to view packaged, robot, and alternate mode images including Simmons having a blast on Chromia. That's a pretty rough "first post". Welcome to the boards! The Human Alliance figure does not share any pieces at all with the Deluxe figure. The HA figs are quite a bit larger than the Deluxe size and are a bit more complicated for transforming. The similarities are only there because it's the same character (as has been pointed out by other responses). Nah. Crazy. Why would Human Alliance Mudflap have a head similar to Deluxe Mudflap's? That's like saying HA arcee looks like deluxe arcee… Oh wait. Um… I'm thinking that maybe they look the same, because THEY REPRESENT THE SAME CHARACTER. 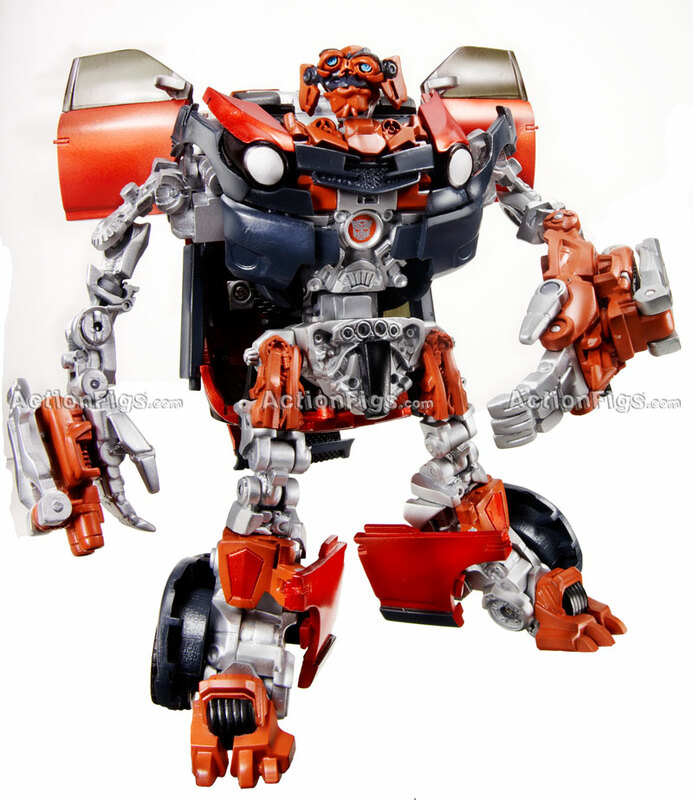 I'm looking at my deluxe and I do not see any pieces carried over, besides the transformation is completely different. 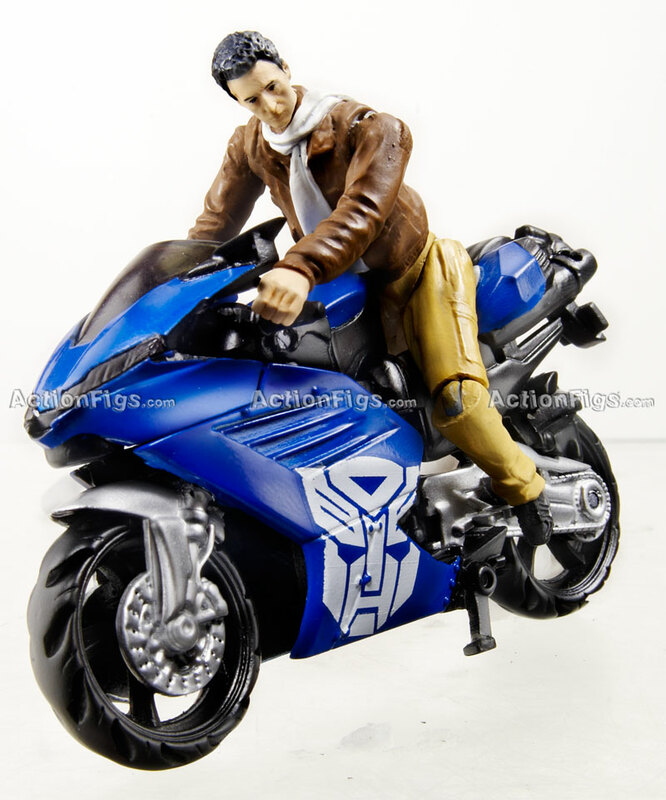 The first thing I am doing as soon as Simmons is out of the package, is putting him in Skids, rolling Skids around and I am gonna shout as loud as I can…. "ONE MAN!" Damnit! You stole my comic idea! I'm still of the opinion that Skids SHOULD have come with Simmons rather than Megan Fox for screen accuracy (since Simmons actualy drove Skids while he did nothing in Mudflap.) Hell, they could have simply swaped Skids for Mudflap in the sets and while the Simmons HA set would be much better, it wouldn't really harm Mikayla's set at all since she hardly did anything with either of the twins at all! Alright, here's my thoughts. I think Mudflap's alt mode is kind of bland and boring. 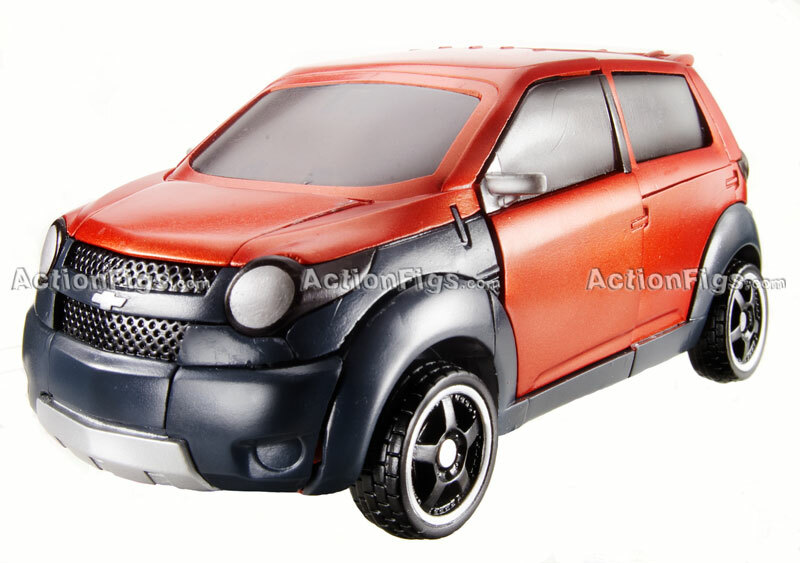 The parts all look like it transforms very similarly to Skids. I'll get him to go with my HA Skids. This "Chromia" looks MILES ahead of the previous "Arcee." Lastly, Simmons looks great, but he's going right into Skids, as others have said. The best scale for Skidz and MudFlap is turning out to be the Human Alliance scale. This set looks great even with that scimpling Simmons added to this it's a must buy. Did I mention Chromia looks great and outshines the Arcee version. Hasbro's stepping up dare game. I'm still not completely sold on this Mudflap. Doesn't look as good as Barricade, and is nowhere near the awesomeness that his brother is. I'm gonna pick himup anyway, and my thoughts might change after I see him next to his brother. love chromia and mudflap, the chromia mold should have been used for arcee though. The arcee mold should have been used for the chromia mold. The mudflap is just awsome. He looks like the best Human alliance figure so far. While he is cool, I still think that Barricade wins that destinction. Oh yes! That's a plan. I'm not gonna hold too much stock on these pics. I've seen pics of the other HA figures that werent great, but once i had them in hand they were amazing. I'm gonna wait for more to come out, but i haven't been disappointed yet with HA. 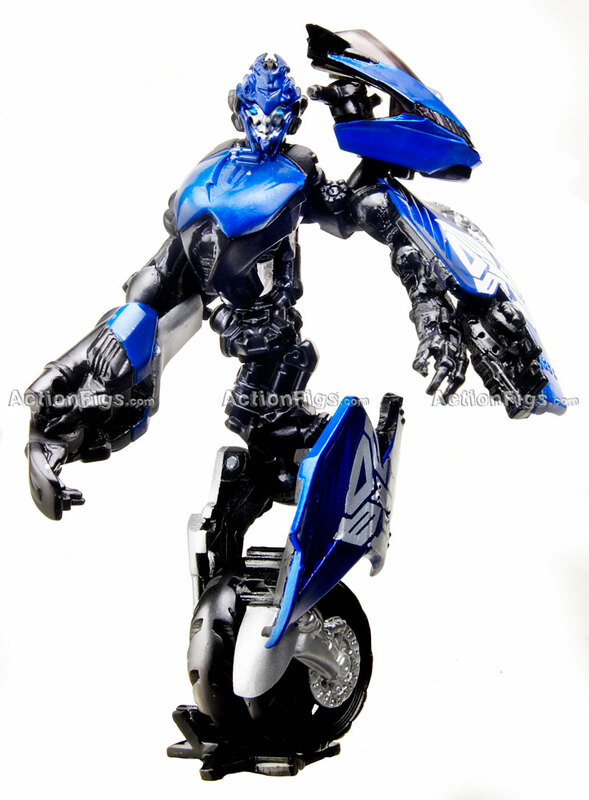 Mudflap doesn't look bad at all really…mistransformed a little…but it looks excellent! That because her face IS crap! That thing had a face? It's really weird. MudFlap is the same quality as Skids yet Chromia absolutely destroys Arcee. Definetly gonna have to get rid of the deluxes to get these broskis. I think the only thing so far that I'm not fond for in the HA line is Barricade and Acrcee, and Barricade needs a closer look before a final verdict. Wow!!!! that box is gorgeous and the cromia is beautiful but I will paint her purple to have the purple arcee then I will have all of the girls! HA Cromia…has a cute face! seriously it makes HA Arcee's face look like crap.